At first I barely registered his gaze: the subtle yet piercing look of that almost nondescript, middle-aged man in the bluish-gray shalwar kameez. I had no idea how long he’d been there. But from the moment I noticed him he remained completely still, leaning against a pile of rice bags, and staring in my direction with that unflinching look of fascination so commonly directed towards visitors to the East. He was a lone operator, who, in his strange demeanour stood out in the sea of activity that unfolded around us. Just twenty feet away I was crouched down having tea with an Indian from Gujarat. 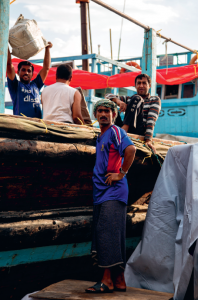 He was part of the crew of an old dhow boat, docked near us, that had recently returned from a journey to Yemen. Using a motley combination of broken Arabic (both of us), kindergarten English (me), and an ad-hoc sign language (mostly him), we tarried in messy dialogue. I was fishing for Sindhbadian tales from the man’s seafaring adventures. The Gujarati was explaining – as far as I could tell – that someone on his boat had fallen overboard while at sea. But that was all I could understand. After that, his account became emotional and I was unable to grasp the garbled, unintelligible details that followed. I shook my head and shrugged my shoulders indicating I’d lost the thread. The Indian sighed, lit a beedi cigarette and stared into space. Our translation Olympiad had reached an impasse. It was at that moment that the enigmatic man at the rice bags (who I’d momentarily forgotten about) made his move. He walked straight over and crouched down beside us. After issuing a polite “hello” he began speaking with the Gujarati in a shared tongue. There was a short back and forth between them. “Yes,” he continued. “Another member of his crew witnessed this event. That witness, after calling the rest of the crew for help, told them that the fallen man, who had a fear of mice, saw one, lost his balance and fell into the sea. The victim could not swim, and they were unable to find him. The Gujarati looked at me and bobbed his head in agreement. But his face was marred by an increasingly dour look, showing a mixture of pain and rage. He had made that face earlier. “Can you ask him why he looks angry now?” I asked the man. The strange tale raised many questions. Having no appetite to wade into murder allegations, I thanked the Gujarati for the glass of tea he had poured me and gave him my condolences. My enthusiastic translator stood up alongside me, and followed as I walked away. “Do we know each other?” I asked him, with a touch of annoyance. “My name is Iqbal,” he answered with slight aplomb. “I work here in the wharf. My family is from Quetta, in Pakistan. I would like to invite you for kebab at a restaurant across the street. Will you join me? Having met my share of swindlers and touts, and not entirely trusting him, I asked how he was able to communicate with the Gujarati if he was indeed Pakistani (an admittedly poor question if I was looking to catch him in a lie). This scene, becoming stranger by the moment, played out in one of Dubai’s last holdouts of genuine global culture. The city’s Dhow Wharfage, Dubai’s secondary port and shipyard, has long been the gritty and incongruous appendage of a town overreaching in its attempt to achieve futurism Nirvana. 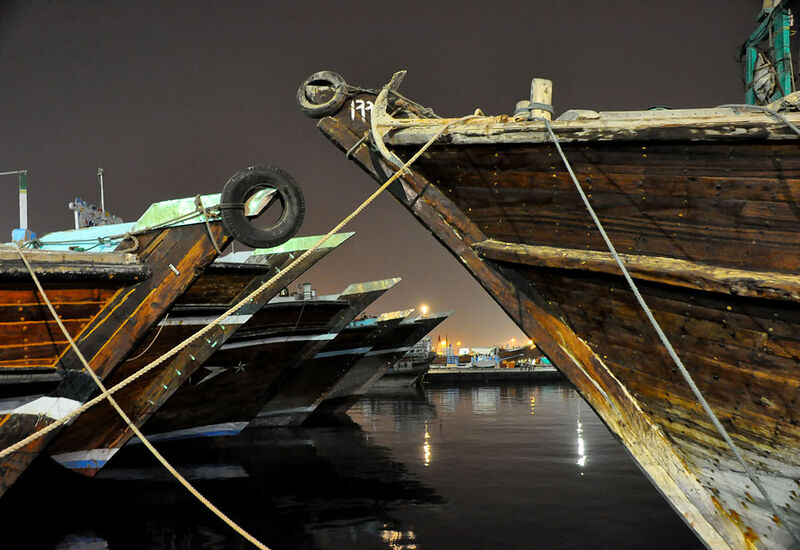 Dating back to the early 1800’s, the wharf is home to an ancient type of sea-going ship known as the “dhow”. These traditional wooden sailing vessels, whose modern variants are rigged up with motors, are the primary vehicles used for small maritime trade in and around the Arabian Gulf. The boats are laden with every imaginable commodity and are commandeered by poor but intrepid crews of foreign sailors. The dhows make frequent journeys to and from neighbouring destinations of intrigue: Pakistan, Oman, Yemen, Iran, Iraq, Sudan and Somalia. The boat payloads range from spices and dried fruit to refrigerators and used car parts. The life of a dhow worker is anything but easy. In addition to hard, round-the-clock grunt work loading and unloading boats, crews must run a gauntlet of tribulations while at sea, ranging from storms, to pirates to their own sometimes surly company (as the Gujarati’s story allegedly illustrated). The unruly cluster of rickety wooden ships and their cargo, sitting on the edge of Baniyas Road – a veritable portal to and from other worlds – is to most residents an eyesore to be tuned out. The exigencies of modernity, materialism and the pursuit of glamour have rendered this old, worldly entrepôt all but invisible. Few people with no connection to the wharf would ever think of wandering there for the hell of it. I too fell into the same trap, nudged into indifference by the mouse-like ruts and five-star distractions of my new life that kept me from exploring this hub of multiculturalism and grass roots commerce. But one day I snapped out of my bubble-induced torpor. 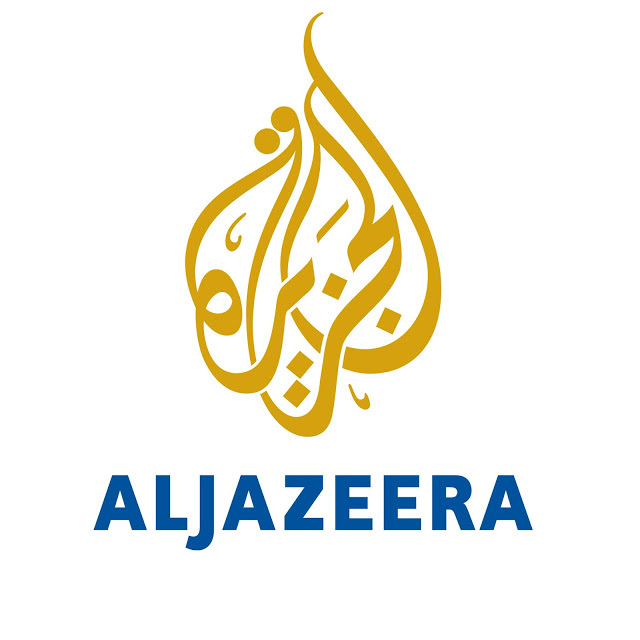 I was doing research for an article on the Iran’s nuclear ambitions when I came across an online report that alleged some technological hardware had been smuggled into Iran from across the Gulf – by way of a dhow boat from Dubai! I decided to go to the wharf the next day, for no other purpose than to see the little world that I’d lazily dismissed. My encounters with the Gujarati and the inimitable Iqbal – and more – followed from that one decision. A sort of casual friendship with Iqbal arose from that unusual meeting. I was suspicious of him at first, but our shared feast of grilled meats and biryani put my worries largely to rest. Iqbal demonstrated intelligence, worldliness, humour and insight. He also had a subtle flair for the humanitarian, which he would reveal in later meetings. But he also brimmed with ambiguities. Iqbal described himself as a shipping “agent” and partner to a wealthy dhow owner who had a small fleet of boats at the wharf. He said he travelled on ships only when they went to certain destinations (he withheld details), and when the boat’s payload was “extra-valuable”. I never saw him getting on, or off, a boat. Nor was I ever introduced to his partner, or to any of his other colleagues. Iqbal certainly knew people at the wharf and clearly had dealings with them, taking or receiving money, packages, or documents. He introduced anyone I ever saw him with at the wharf as “my friend” without further elaboration. Clear details about his personal life were just as hard to come by. Iqbal never took me to his home, which he described to me as a small flat “behind the souq in Deira”. He used the word “family” to refer to his seldom-mentioned relatives back in Pakistan. And he never once spoke of a wife. When I asked him later if he was married, he mumbled a few words about a woman “long ago” and then quickly changed the subject (though he did more than once speak, with an almost unguarded tenderness about a lady from Karachi now living in Dubai whom he was “helping”). Other questions about his education and linguistic abilities also screamed out. Suffice to say, certain things about him didn’t add up. But it wasn’t altogether surprising or particularly important. Anyone in Dubai will tell you that the city hosts a legion of Houdini-types drawn from all over the world: escapees who’ve run away from war, poverty, boredom, the law, spouses, and sometimes themselves (was I one too?). As a result, some people look to forge completely new identities, or at least hope to conceal aspects of the old ones. Which is why many foreigners are guarded with the details of their past. As a Dubaian, you learn to not let the dodginess bother you too much. And you don’t ask too many questions either. Poking your finger into the holes of people’s bona fides, especially in a place known for its shady business and political dealings, meant that you might one day lose it. In the case of Iqbal, I quickly gained his trust by not being nosey with him. Very soon he offered to be my unofficial guide to the older, South Asian neighbourhoods on the Deira side of the creek abutting the wharf. For people like myself who hadn’t ventured much beyond the main avenues of that part of town, these were hidden corners of the city. 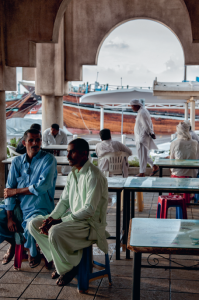 I would go with him to these backstreets, pedestrian zones, and souqs – natural extensions of the wharf – when I myself needed an escape from the relative superficiality and fickle mirage of appearances that characterized life in the other Dubai that I knew. We made a journey through the car-crowded streets of Deira to a small 3-star hotel sheltered in a quiet cul-de-sac off one of the main thoroughfares. We walked through the bright, kitschy lobby and into a long, brooding hallway throbbing with music. A large door at the end of the corridor led to a dark bar containing a stage at the far end. About a dozen or so South Asian men sat at tables facing the stage. Above them were a group of musicians and a long line of Indian women dressed in colourful saris, sitting bored and restless on high stools. One by one the women would get up to do a kind of freestyle interpretive dance flickering with suggestion. Etched on the women’s faces were expressions of forced enthusiasm and ennui (although the odd dancer seemed genuinely pleased with herself). When an especially pretty dancer hit the stage, any given man in the audience would summon the waiter and give him some money. In exchange, the waiter would hand the patron some bracelets which the audience member would then pass to the dancer. The woman would often smile, put on the bracelets and continue her dance while paying special attention that particular man. An audience member could buy as few, or as many bracelets as he was able to, or liked. Enough bracelets, I later learned, earned the man a chance to speak with the woman after the show and perhaps get her phone number. We were clearly at some kind of Indian cabaret. But why had Iqbal brought me here in the first place? When I looked at him, he seemed neither entertained nor particularly happy to be there. In fact, he looked reticent and uncomfortable. He didn’t say a word to me until we were well away from the hotel. He paused a moment before driving his last point home. Another notable journey with Iqbal took place, months later, on my return from a weeklong assignment in Afghanistan. While away, I was exposed to the music of an iconic Pashto singer from neighbouring Pakistan, named Haroon Bacha. The musician’s melodies, primal and ethereal, became the soundtrack of an unforgettable road-trip in a pickup truck along the mountain road between Kabul and Jalalabad. After leaving Afghanistan, I wanted to buy the album. So when I returned to Dubai I went literally everywhere in my search to locate it. No stone was left unturned in that obsessive hunt. And yet, strangely, no music store, regardless of how relevant its collection, carried it. Exhausting all my options, I let go and ended the search. A week later, while having tea with Iqbal at the wharf, I had a sudden realization, which, I intuitively knew, would help me find that album: I would simply ask Iqbal. He was Pakistani. Surely, he’d know where I could find it. “Come,” he replied without missing a beat. For the next several hours Iqbal led me through a labyrinth of stores hidden behind the tourist-trafficked souqs of Deira. Whole sections of that strange bazaar were devoted to single items: one street sold only doorknobs; another, pivoting wheels for office chairs and dollies; we later entered an alleyway that sold only knives. It was Dubai’s little-known wholesaler district and it went on forever. Iqbal visited an assortment of random characters (some unsavoury, and all of whom he called “my friend”), exchanging money, messages, and backslapping laughs along the way. I asked for the Haroon Bacha album. And low and behold, there it was (although I was given a cassette tape instead of a CD). When we later reached the wharf, after a short detour through the Spice Souq, I expressed to Iqbal my disbelief at my inability to find the tape myself until I’d given up all hopes of finding it. Iqbal stared at me and then shook his head and grinned. “You think there is a mystery, when in fact there is none,” he said cryptically. “In one sense, you just didn’t know where to look. But there is also another aspect. This can be conveyed in an expression. “What’s that?” I asked him, annoyed by his didactic tone. Iqbal then pulled out a dry date from his pocket and popped it into his mouth. He looked at me as he chewed, smiling from ear-to-ear. Friends in Dubai can vanish as quickly, and easily, as they appear. And in a fashion that was hardly atypical for the city, Iqbal and I fell off each others’ radars. In this case, I was mostly to blame. New friends, a spate of heavy travels and the demands of a new relationship diverted me for a period from the Invisible Entrepôt. The gravity of the city was moving increasingly westward following its developmental manifest destiny out into the desert. It was in those areas where I increasingly spent my time. When I did finally reach out to Iqbal, some time later, his phone number was no longer working. 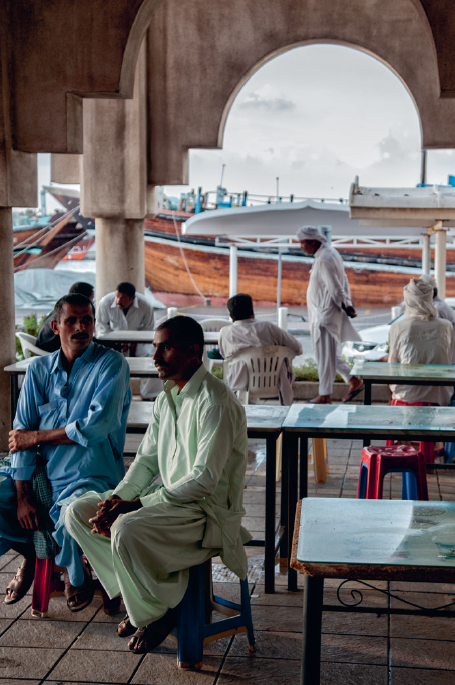 A follow-up visit to the dhow wharf to look for him resulted in many look-a-likes, but no Iqbal. I went back to the café where we sometimes had tea, but none of the new employees knew him. I managed to wrangle the old manager, but he said he didn’t know where Iqbal was. He hadn’t seen him for months. And so that was it. Like other casual friends and acquaintances in Dubai, Iqbal surreptitiously made his exit, never to contact me again. He returned to the total obscurity from which he had so suddenly, and dramatically, appeared. In the meantime, the dhow wharfage, that charming holdout of an organic and historic maritime culture, has fallen to the cutting knife of the city’s planners and plastic surgeons. In 2012, the Dubai municipality announced a multi-million dollar facelift-expansion of the wharf. It was meant, in part, to increase trade and revenue for the city. But the project was also designed to extend the city-state’s growing bureaucracy of security and regulation to the area. The unruly wharf, with all of its rugged characters, was finally going to be reigned-in and co-opted into the machine of cleanliness and order that defines much of the 21st century U.A.E. The changes would no doubt confer benefits to the area as much as they would detract from its essence. Yet, questions lingered. Would the dhow wharf be less invisible under its new tutelage? Would its living component, its people and stories, still be discernible behind its new façade? If not, then what, if anything, will be remembered of the area and its past? And what would Iqbal have said on the matter? Could his sudden disappearance have in some way been connected to this inevitable event – as if he had seen it coming and strongly disapproved? I still wonder. A version of this story, entitled “The Invisible Entrepôt” appeared in the anthology Uncommon Dubai, published in 2014.